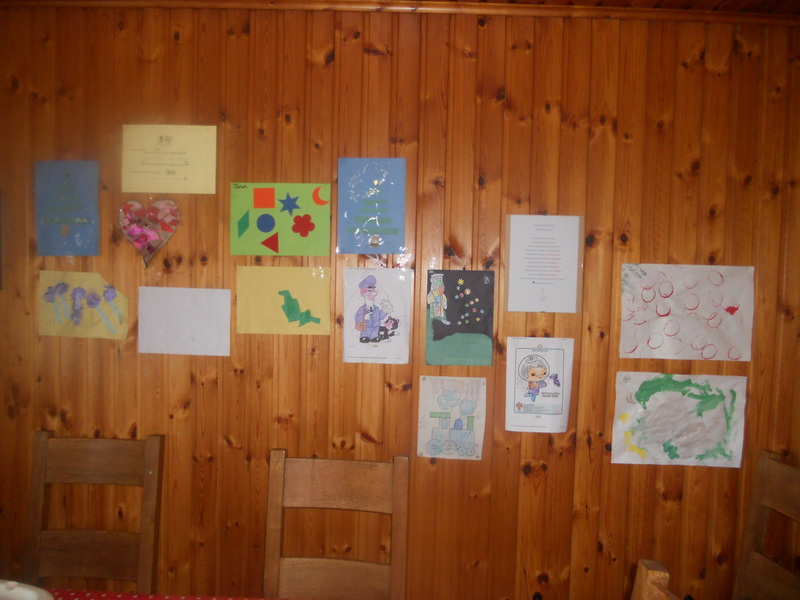 A little creativity….. – Making Memories in The Chaos. 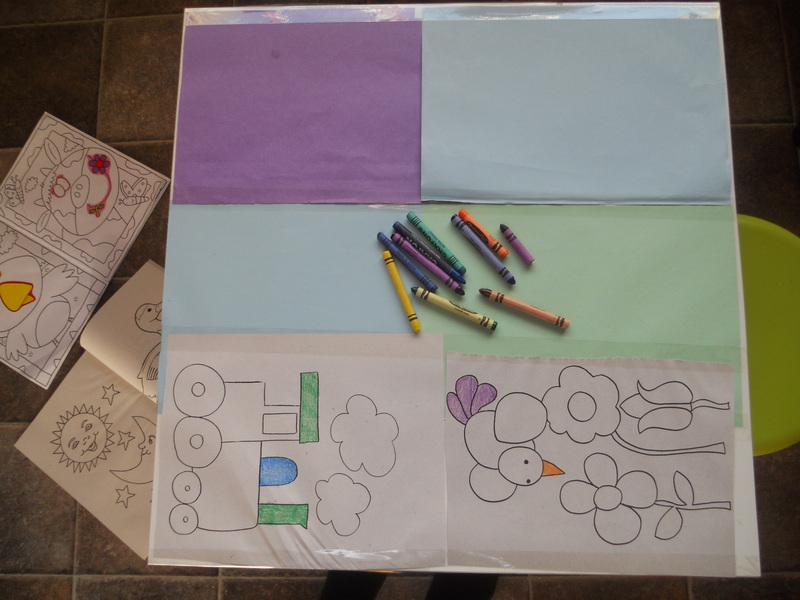 Feeling inspired by The Imagination Tree and their post on their Creative Arts area and gallery for kids, I thought I would share with you all our take on it at our home. 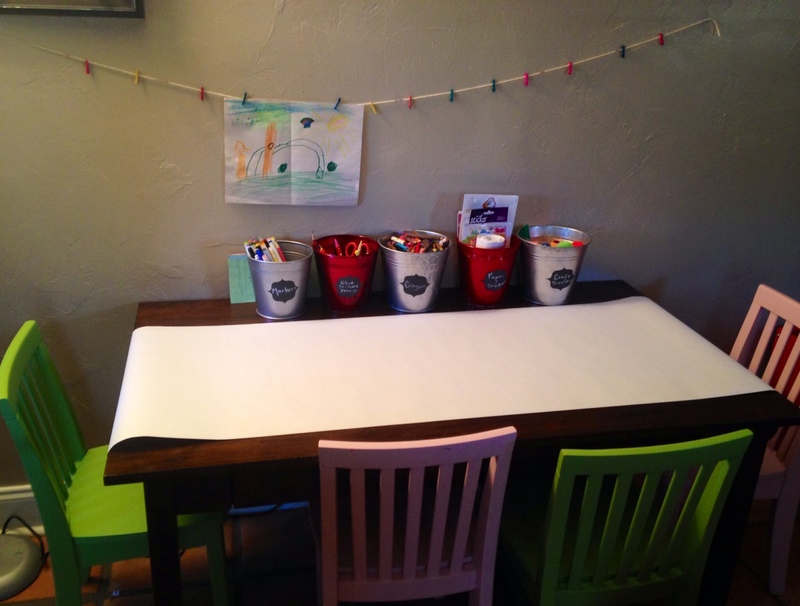 Our house is pretty small – a 3 bedroom bungalow…so as much as I would LOVE to have a wee area devoted to creating, I have had to make do with several child friendly areas around our kitchen! 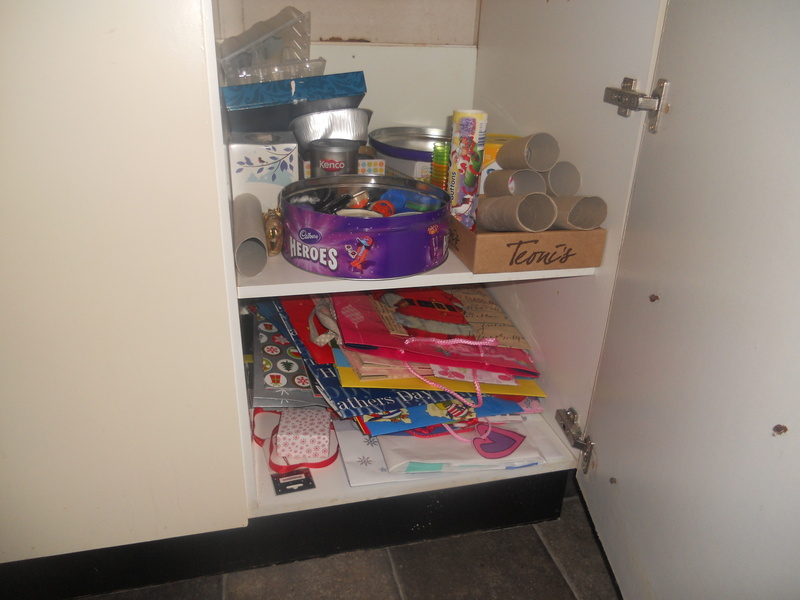 We already had all of this in place, so I’m afraid it’s a bit messy and not really photo / blog perfect, but hopefully you’ll get the idea! 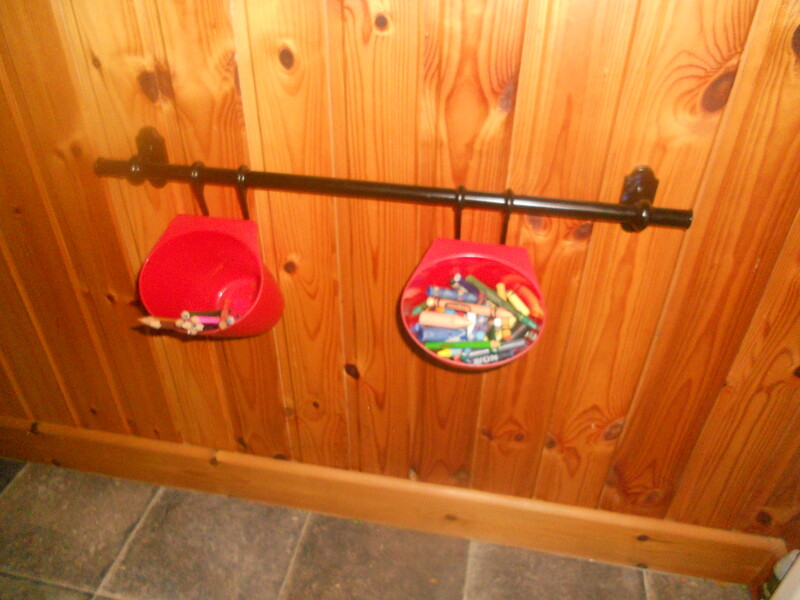 We also have a little rail and plant pots from Ikea positioned at a child friendly level…these contain crayons, colouring pencils and felt tips (missing from pic!). 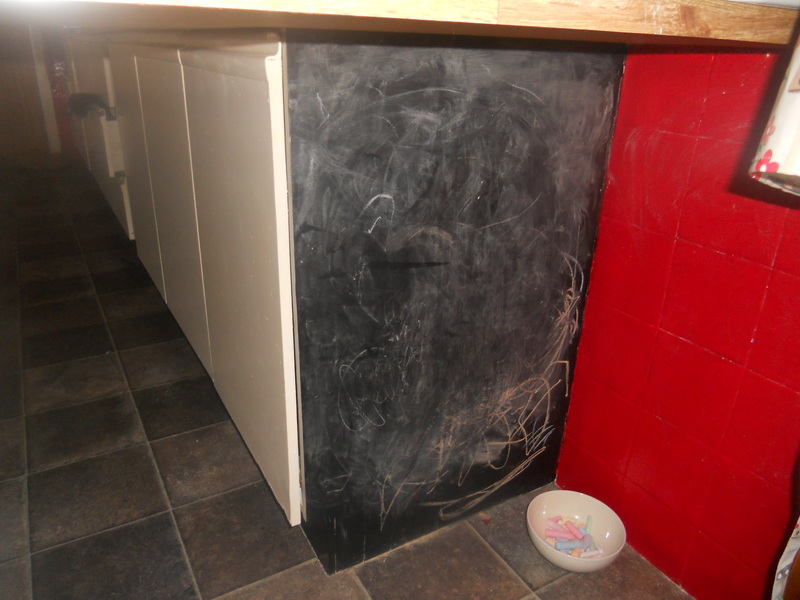 When we were repainting out kitchen I got hubster to paint one end cupboard with chalkboard paint to allow J, S and L to have a chalkboard available 24/7 for making their mark! 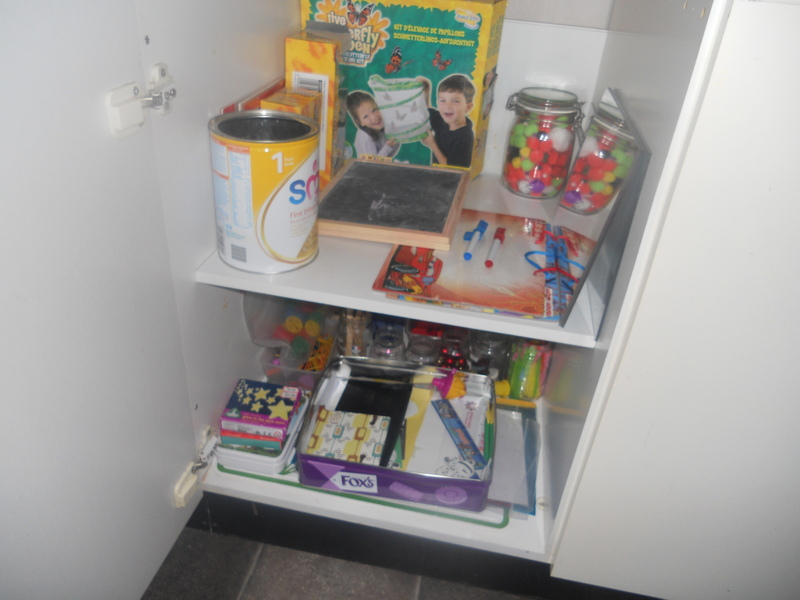 And another cupboard where they can choose paper / card for their project. 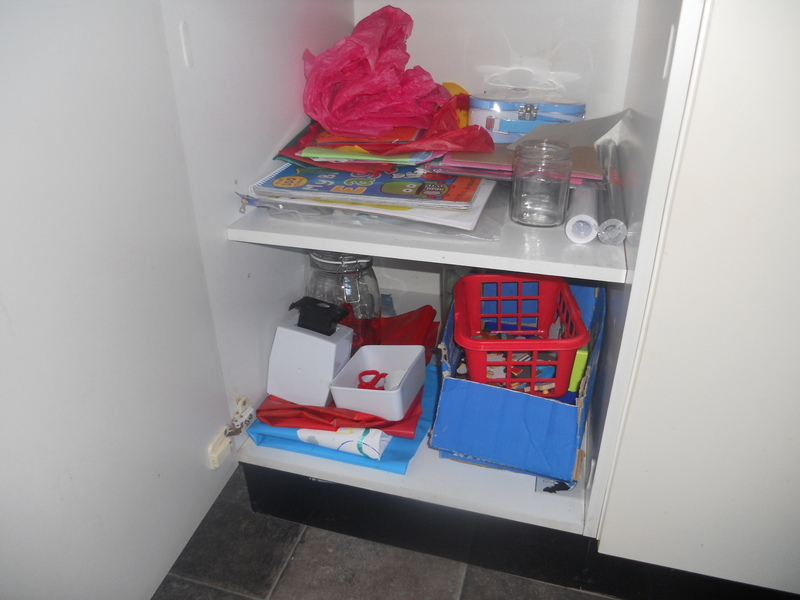 The bottom shelf is our play dough shelf which again they have free access to. And lastly, we always have out in our kitchen our little table and chairs, which are used for so many different things….we got these again in Ikea. So, there we go….not quite as impressive as the fabulous Imagination Tree to be fair….so make sure you pop over there to have a look! Previous Post What we’re loving around here, right now! 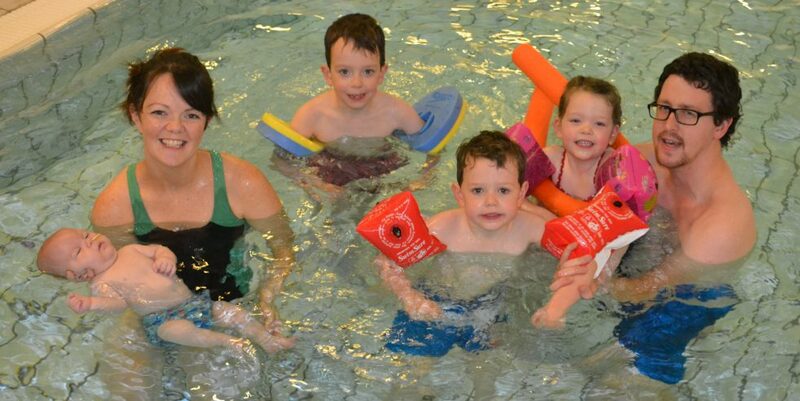 Next Post Having a grump…. Awh thank you Ali! We like to keep it real around here 😉 No point in pretending to be something we’re not!! Take us as you find us is our manta! Awh wow!! How cute are those little tins!!!! I know! and the great thing is that they were in my cabinet just collecting dust so I’m happy to put them to good use and didn’t have to buy anything. Even better! Love your idea of the magazine racks for paper too!